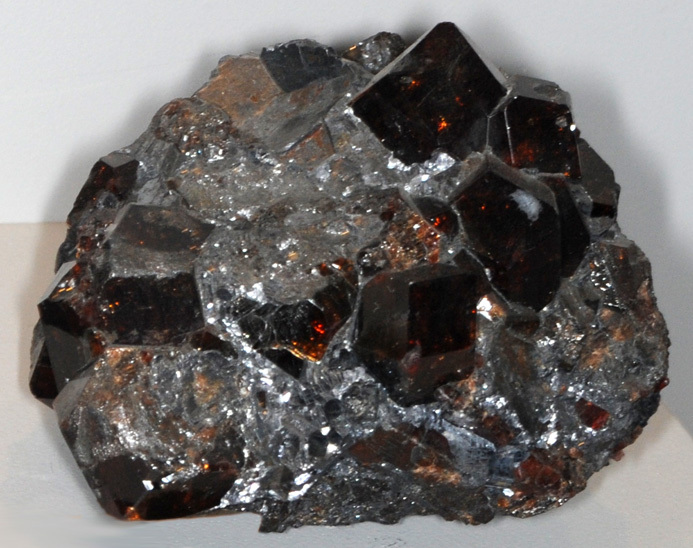 Spessartine is silicate of manganese and aluminum with the composition Mn3Al2(SiO4)3. 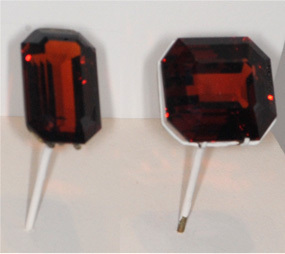 The samples at left show the dramatic red-orange color it often exhibits. 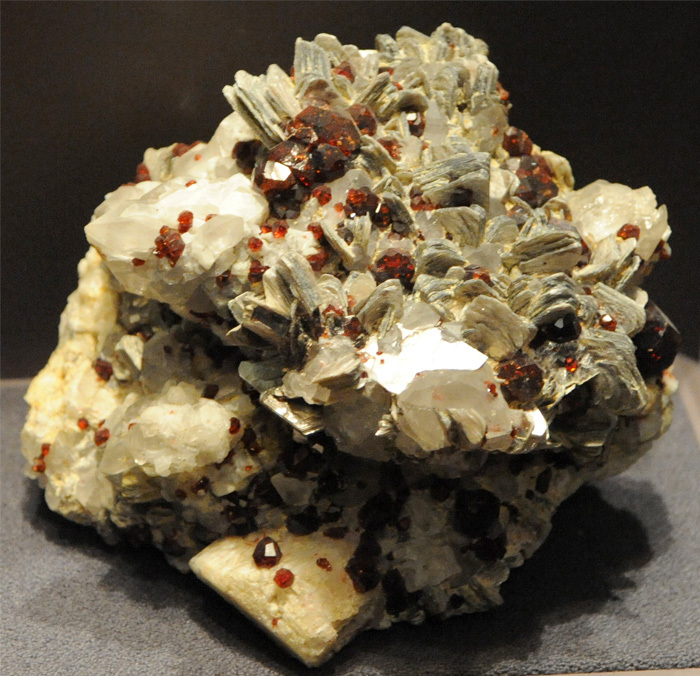 This sample of spessartine with muscovite is about 3x3 cm and is from Gilgit, Northern Areas, Pakistan. These samples are displayed in the Smithsonian Museum of Natural History. 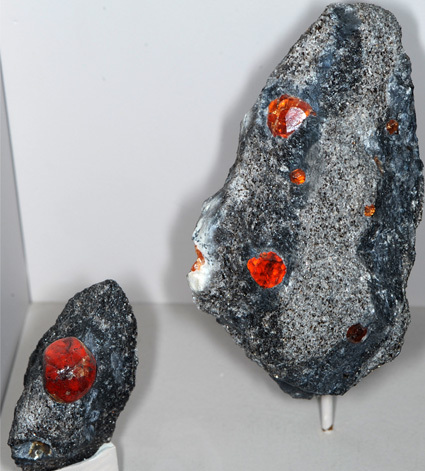 The sample at right is described as spessartine with schorl, albite and quartz. 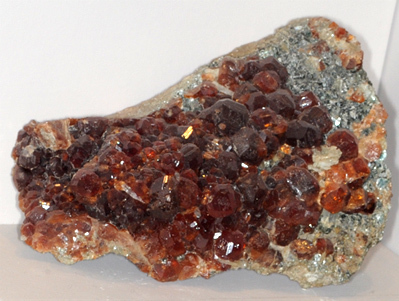 It is about 12x15 cm and is from Hercules mine, Ramona, California.This locality is known for gem-quality orange spessartine, a garnet mineral rich in manganese. 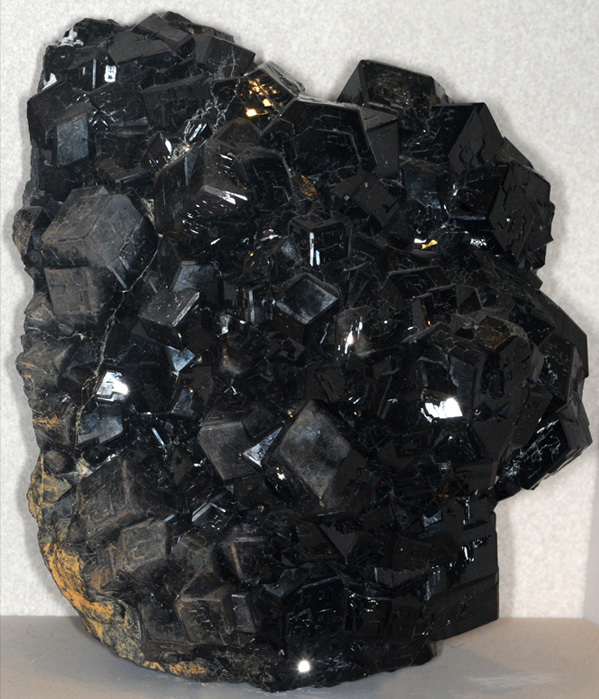 The black schorl shows up in dramatic contrast. 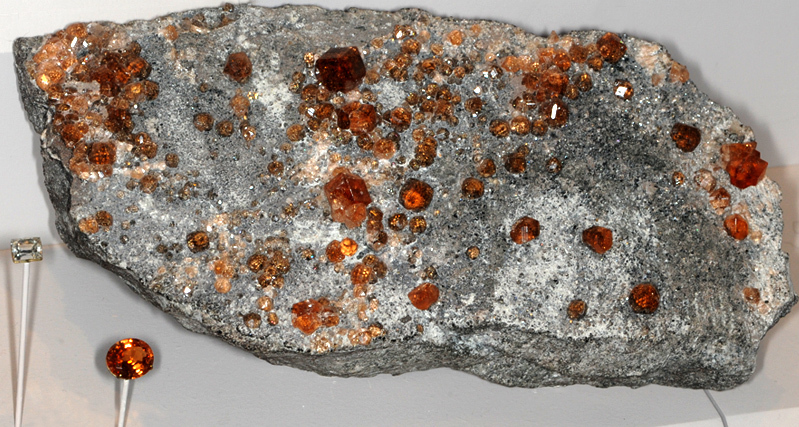 This spessartine sample is about 2.5x2.5 cm and is from Pedra Borita mines, Carnaubados Dantas, Rio Grande do Norte, Brazil. 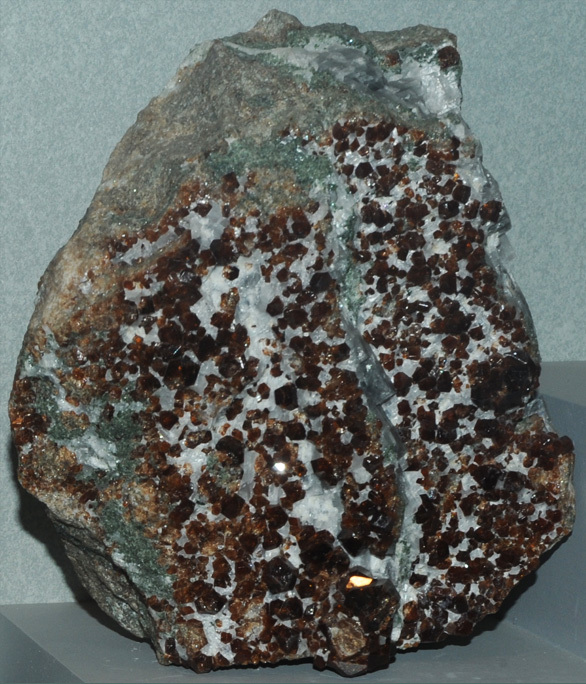 This sample is described as spessartine with helvite, quartz, and microcline. It is about 20 cm long and is from Tongbei, Fujian Province, China. 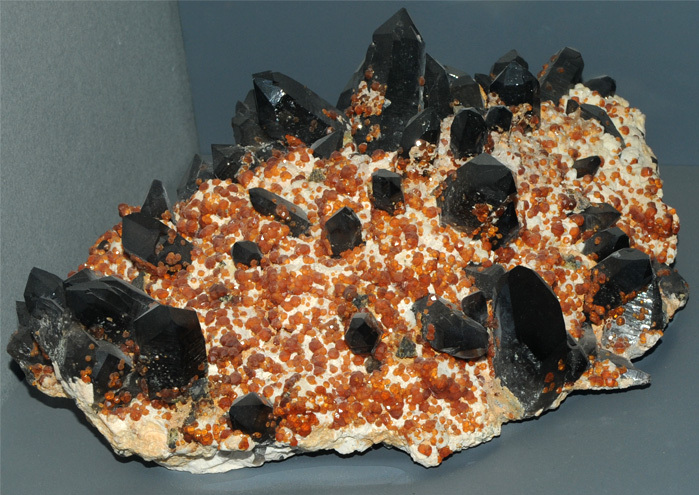 Another example of the habits of formation of spessartine crystals comes from Garnet Hill, White Pine County, Nevada. The sample at right is about 9x7 cm. 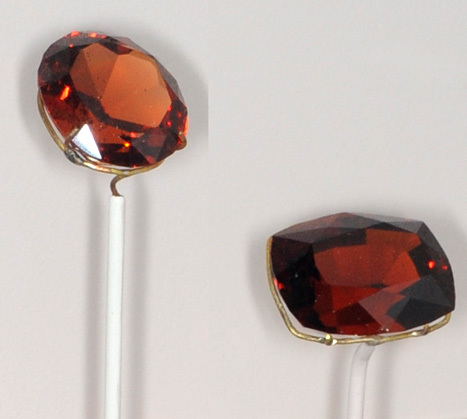 These spessartine gems are 40.1 and 26 carats and are from Amelia, Virginia. 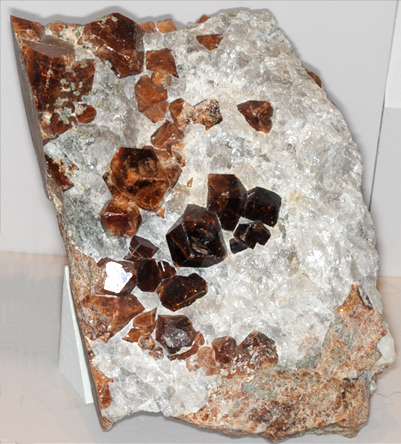 This sample is described as spessartine with quartz and muscovite. 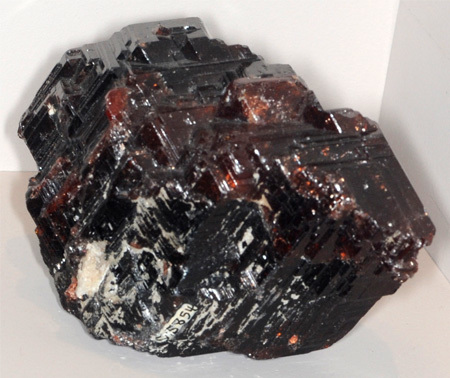 It is about 13x13 cm wide and is from Haramosh Mountains, Gilgit, Northern Areas, Pakistan. 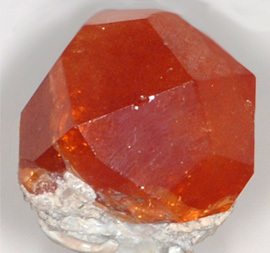 "Reddish-orange spessarting is one of the garnet minerals. 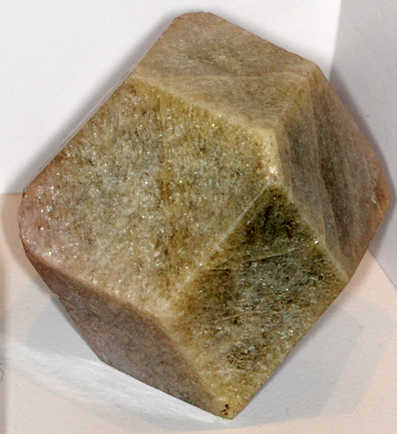 Here, it sits on white quartz and platelike crystals of muscovite. Magnificent pegmatite specimens such as this have been found in Pakistan since the mid-1980s." The spessartine gems at right are 18.9 and 27.4 carats and are from Kenya. These spessartine gems are 53.8 and 108.9 carats and are from Minas Gerais, Brazil. 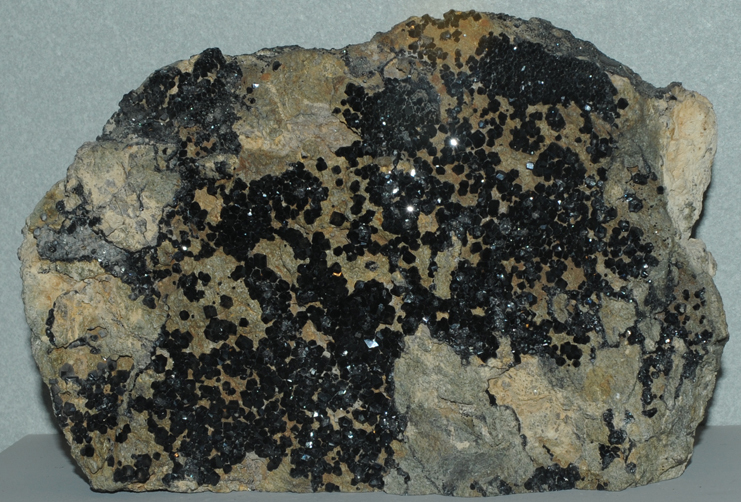 This spessartine sample is about 6 x 8 cm. These spessartine gems are 13.92 and 9.73 carats and are from Zambia. This gem is 40.8 carats and is from Tanzania. 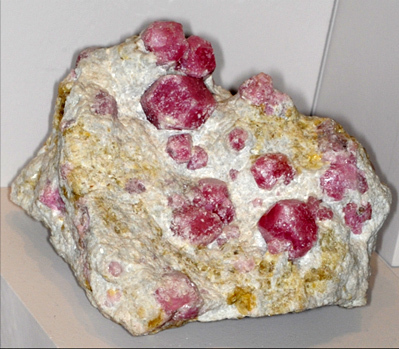 This sample is described as spessartine with galena and rhodonite. It is about 6x8 cm and is from Broken Hill, New South Wales, Australia. Grossular is silicate of calcium and aluminum with the composition Ca3Al2(SiO4)3. These grossular crystals are 2.6 and 8.9 carats and are from Asbestos, Quebec, Canada. The sample above is about 20 cm across and is from the same location. 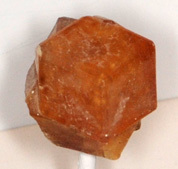 This grossular sample is about 6x6 cm and is from Sandave, Nioro du Sahel, Mali. 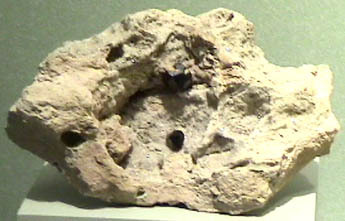 This grossular sample is part of the mineral collection from the cretaceous period around Crestmore, California. It is about 8 cm across. This grossular sample is about 10x14 cm and is from La Calera, Cordoba, Argentina. 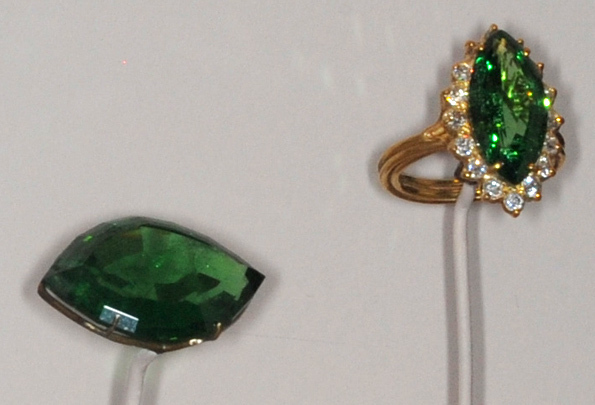 At left is an extraordinary trio of gems displayed at the Smithsonian Museum of Natural History. 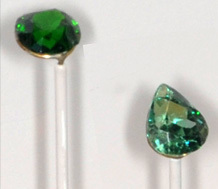 On the right of the gem trio is a 15.93 carat grossular gem of variety tsavorite from Kenya. 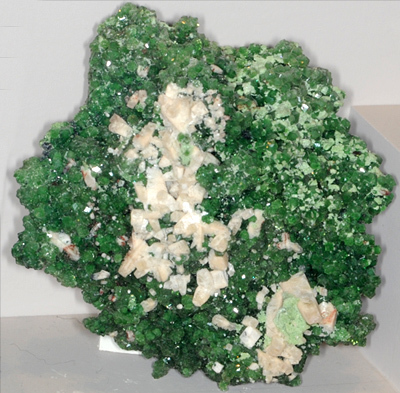 Kenya is the only source for this green tsavorite variety. The center gem is hydroxyl-herderite , 161.08 carats, from Brazil, perhaps the finest gem of its kind with its size and deep green color. The 40.1 carat elbaite gem shown at the left of the trio is from Mozambique as a part of a recent gem discovery with an unusual color for elbaite. 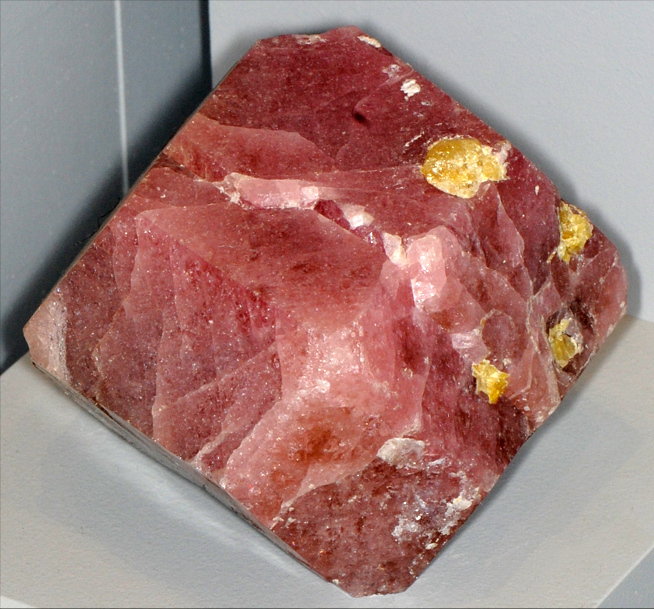 This display at the Smithsonian Museum of Natural History shows a range of colors that can be obtained with grossular gems. 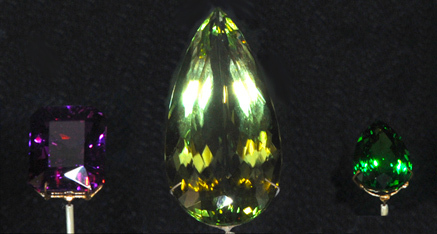 The large gem on the left is 30 carats and is from Ratnapura, Sri Lanka. The 9.9 carat gem on the right is from Kenya/Tanzania. The smaller gems total 16.86 carats and are from Kenya/Tanzania. 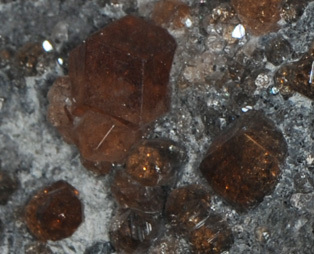 The grossular sample above left is described as grossular with clinochlore. It is about 6x9 cm and is from Ala, Piemonte, Italy. 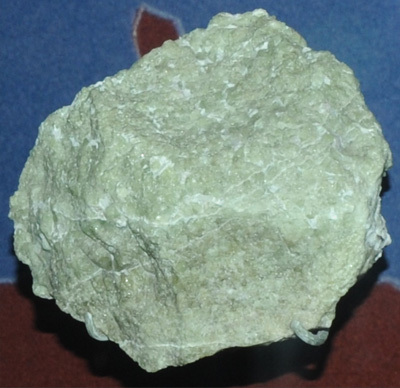 The sample above right is described as chromian grossular with prehnite. 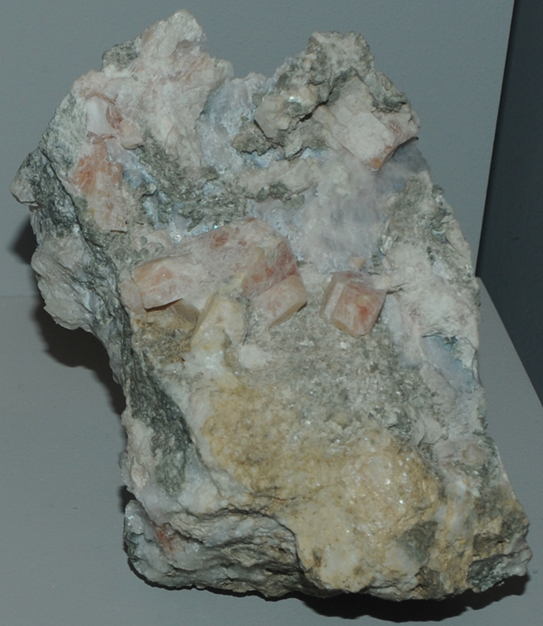 It is about 9x10 cm and is from Jeffrey mine, Asbestos, Quebec, Canada. This sample of grossular is about 8x8 cm and is from Lake Jaco, Chihuahua, Mexico. The sample of grossular at left is about 9x13 cm and is from Minot, Maine. This grossular sample is about 9x10 cm and is from Morales, Mexico. This grossular sample is about 6x7 cm and is from Chihuahua, Mexico. 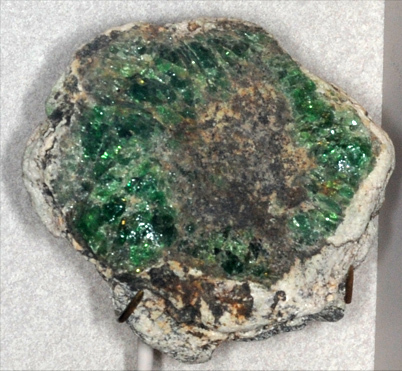 This grossular sample is of the variety tsavorite. 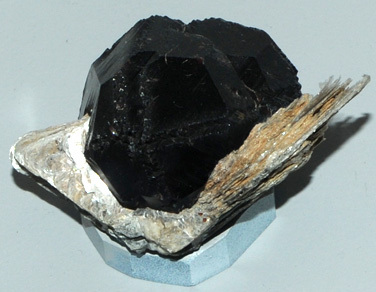 It is about 6x7 cm and is from Lualenyi mine, Mgama Ridge, Kenya. 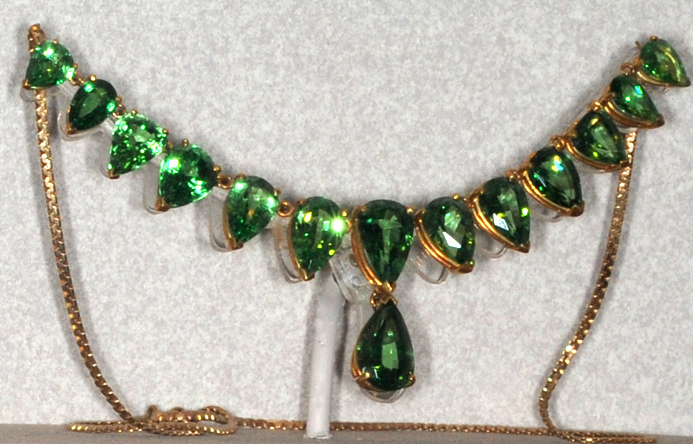 This necklace exhibits grossular of the variety tsavorite. It is 30.8 carats in total weight and is from Kenya/Tanzania. These grossular gems of variety tsavorite are 29 and 7.1 carats. They are from Kenya/Tanzania. 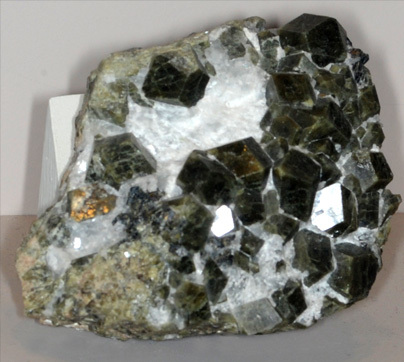 Andradite is silicate of calcium and iron with the composition Ca3Fe2(SiO4)3. This sample is about 10x7 cm and is from San Benito County, California. 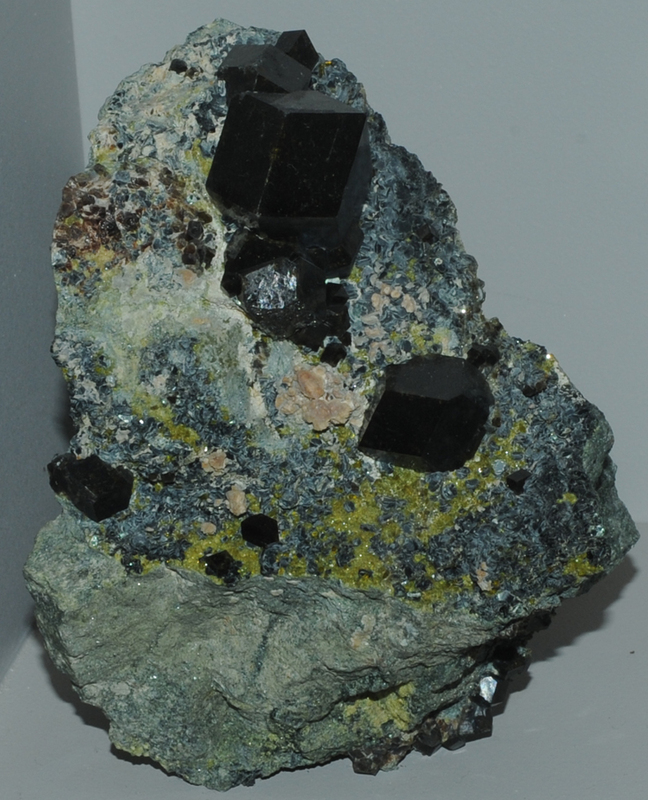 This sample is described as andradite with clinochlore and epidote. It is about 6x9 cm and is from Marquakhel, Spinnatigga, Parchines, Pakistan. 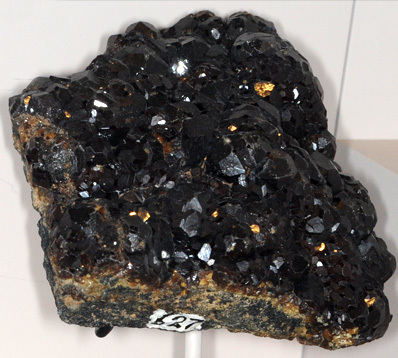 This andradite sample is about 17x21 cm and is from Ojos Espanoles mine, Cardenas, Chihuahua, Mexico. 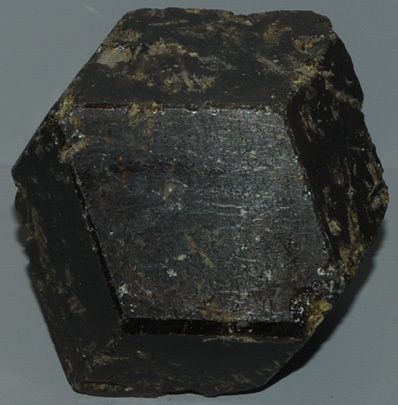 This andradite sample is about 3x3 cm and is from Baja California, Mexico. These two andradite samples are from Ocna de Fier, Banat, Romania. 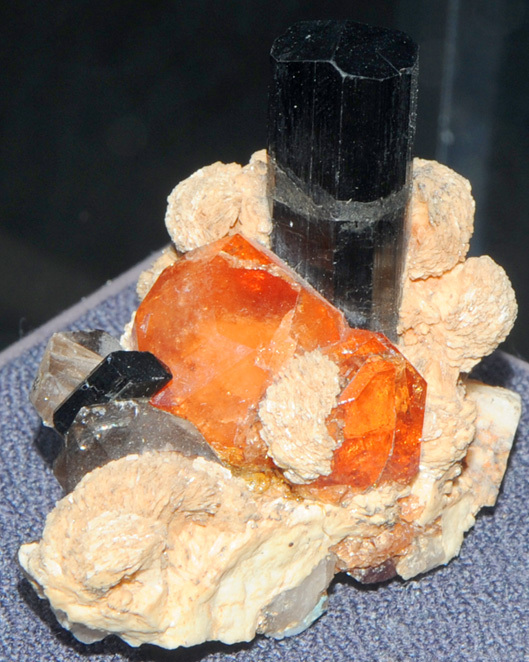 The left sample is about 8x9 cm and is described as andradite with calcite. The sample on the right is about 10x10 cm. 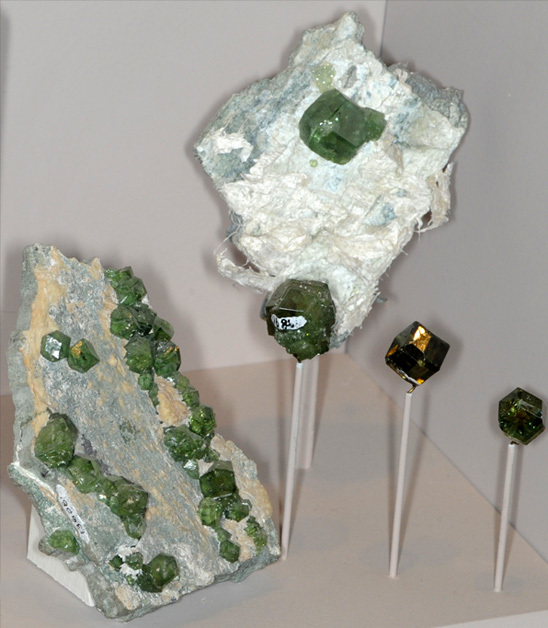 These andradite samples are described as andradite of variety demantoid. They are from Val Malenco, Sondrio, Lombardia, Italy. The gems are 4.1 and 3.4 carats and are from Urals, Russia. This gem is 10.4 carats and is from Urals, Russia. Anorthite is a silicate silicate of calcium and aluminum with the composition CaAl2Si2O8. This sample is about 8x11 cm and is from Monzoni, Val di Fassa, Trentino-Alto Adige, Italy.